As the title of this game prophetically and appropriately suggests, Shadow of the Colossus is now a colossal name in the gaming industry; both boldly standing up against any of the latest action/adventure games whilst also inspiring modern work in turn. The shadow it has cast over many of the games and consoles that have followed it is a dark, haunting and penetratingly memorable one. Released back in 2005/6 for the PS2, Shadow of the Colossus was Team Ico and Sony Computer Entertainment’s second game after they put themselves firmly on the map with the equally superb, eponymously titled, Ico. Critical acclaim was thrown at the game back when it was released, now nearly ten year ago, from audiences and critics alike. It’s in its simple and austere game formula, vast landscapes and gorgeously cinematic tone that this game stands apart from pretty much every game that’s preceded it. 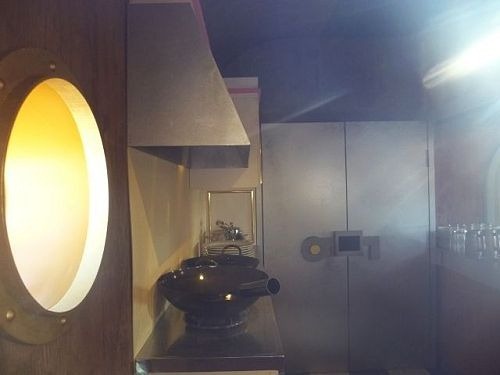 The game opens with you playing as an unidentified young man arriving at a temple with an equally unidentified young girl who appears to be either mortally ill or actually dead. 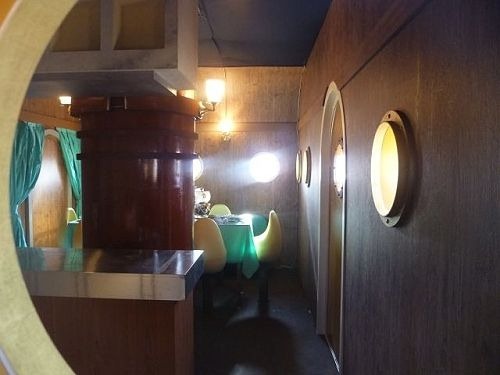 A deep, rumbling Japanese voice announces that to save the girl you must venture out of the temple and defeat the 16 colossi that roam the lands. 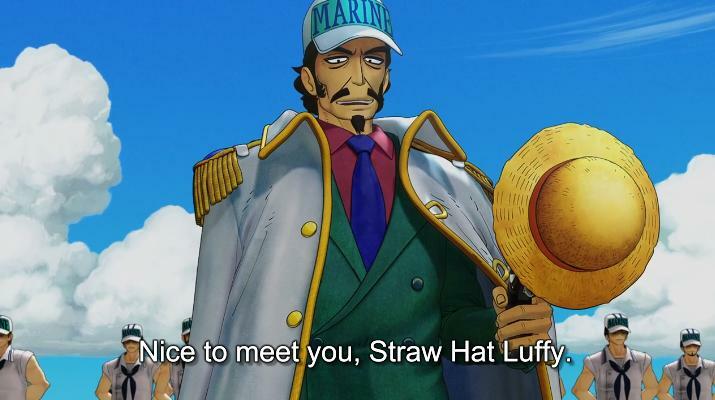 That is genuinely the entire plot of the game, while you may think initially that this sounds sparse it is in fact the minimalist nature of the plot that is the enduring strength of the game for this writer. 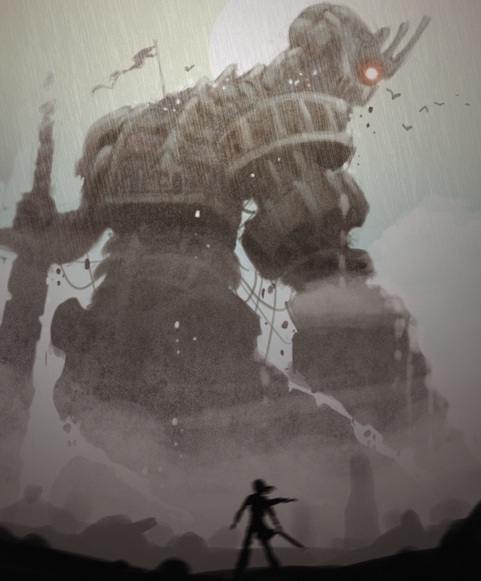 The game play essentially plays out in the form of 16 increasingly difficult boss fights, interspersed with tracking down and finding the next colossus once you’ve defeated the previous. Some are harder to find than others and they’re often situated atop sequestered peaks or found lurking in huge caverns, fortunately the scenery is absolutely stunning so the search for them is never anything short of delightful. What’s fantastic about the game is that each colossus provides a genuinely unique and engaging challenge. The tactics for defeating each will all be entirely different. 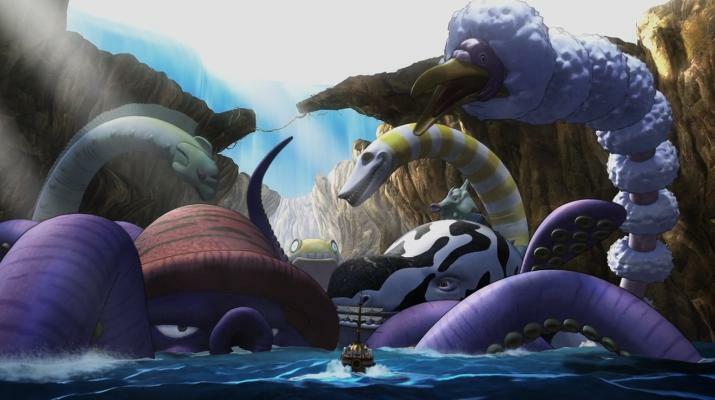 Ranging from gigantic lumbering turtle’s that fire balls of flames at you to huge winged sea monsters; the creatures all pose unique challenges but share the same feature- they’re genuinely colossal. Each and every colossus is superbly designed, they look as if they are as ancient and spiritual as the land which they occupy. I’m not sure if it’s just me but I felt genuinely quite moved whenever I successfully managed to take down one of them; rarely does a game ever have the audacity to create a connection or bond between you and foes and this is just one of the many ways in which Shadow of the Colossus is not just a behemoth in name, but in nature also. Recently Shadow of the Colossus and Ico were both released for PS3 in HD, at the time I didn’t have a PS3 but I decided to move hell and high water to ensure I did. I genuinely decided to sell my xbox 360 and sell wii games I no longer really used to afford this expenditure and boy oh boy was it worth it. 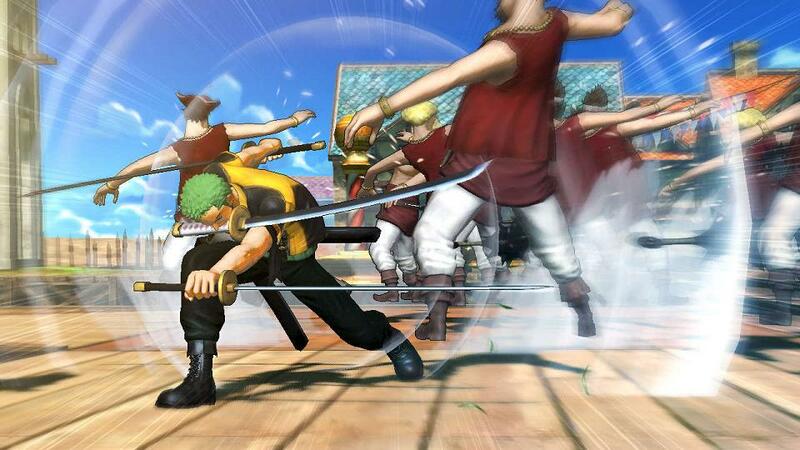 The game looks fantastic rendered in HD and I’d recommend it to absolutely anyone who considers themselves a gamer. 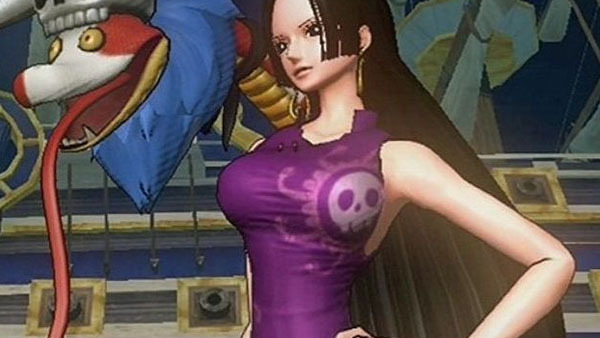 You truly haven’t played a proper game until you’ve set your hands around this beauty. 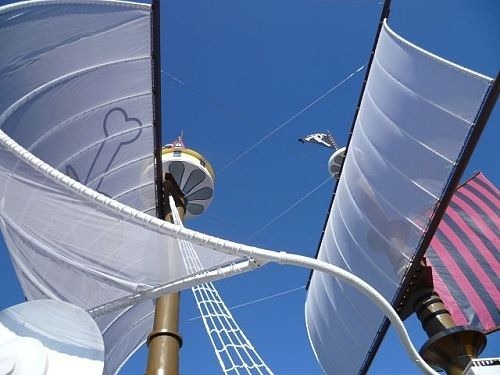 Sony came up to roll out the Golden version of PlayStation 3 with Monkey D. Luffy from One Piece. 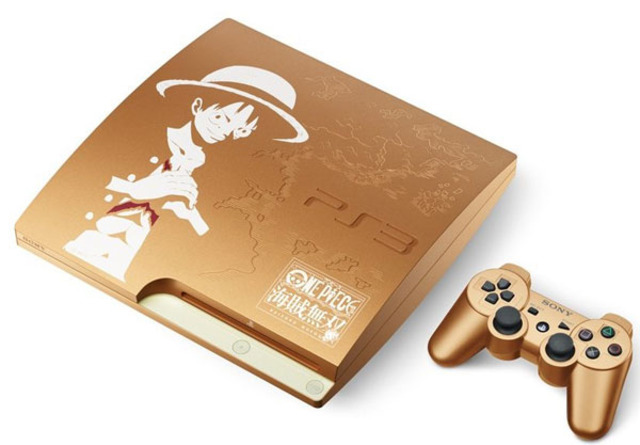 The bundle comes with gold 320GB PS3, a gold DualShock3 controller, an exclusive One Piece theme, and the standard cables. 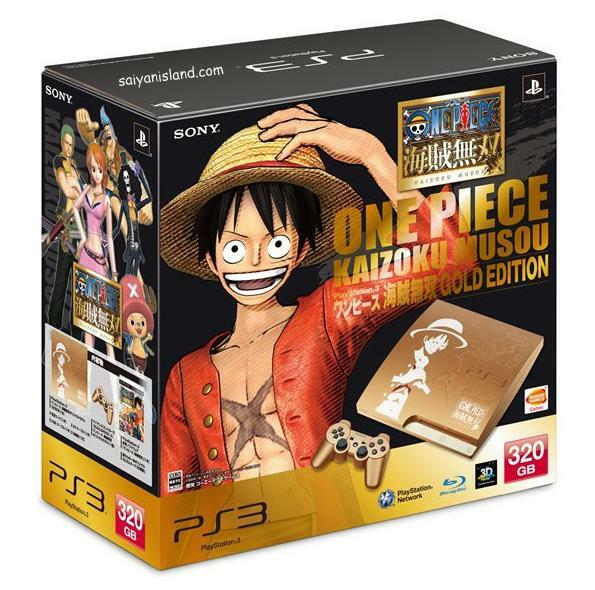 Sony will introduce the Limited Edition gold PS3 for the release of One Piece: Kaizoku Musou. 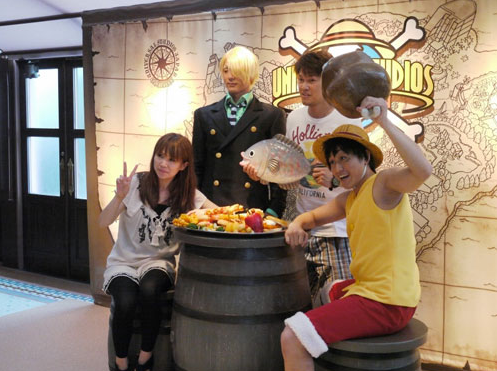 It will cover One Piece part 1 as well as some of the story contents in One Piece timeskip. 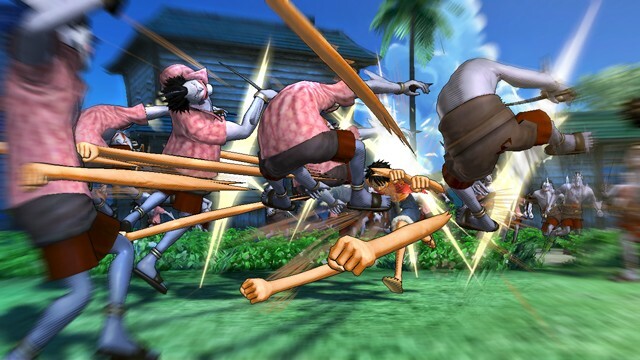 The game is under development by Omega Force and will be publish by NAMCO Bandai and Tecmo Koei in Japan on March 1, 2012. 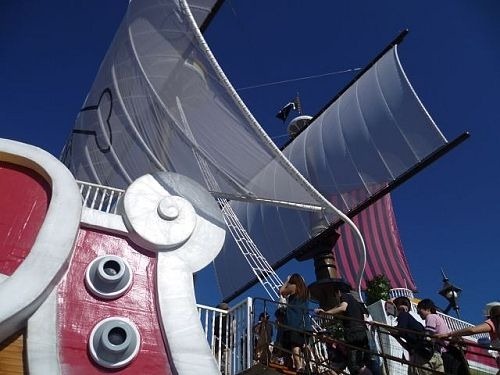 One Piece fans are worldwide but fans from Japan are the lucky ones because there is no plans have been revealed for North American or European release. 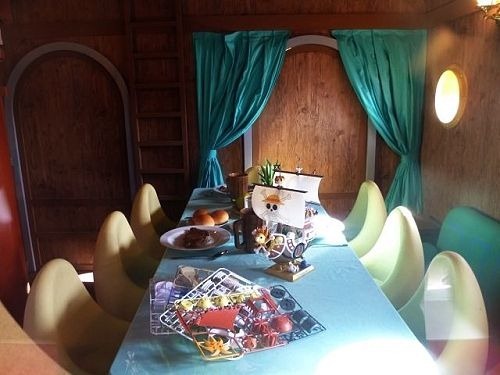 The price is 38,170 Yen which equals to $490USD. 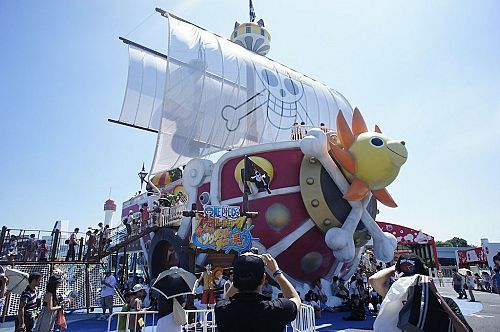 Thousand Sunny is Straw Hat Pirates ship designed and built by Franky. I was made of very hard and rare type of wood called “Adam Wood”. 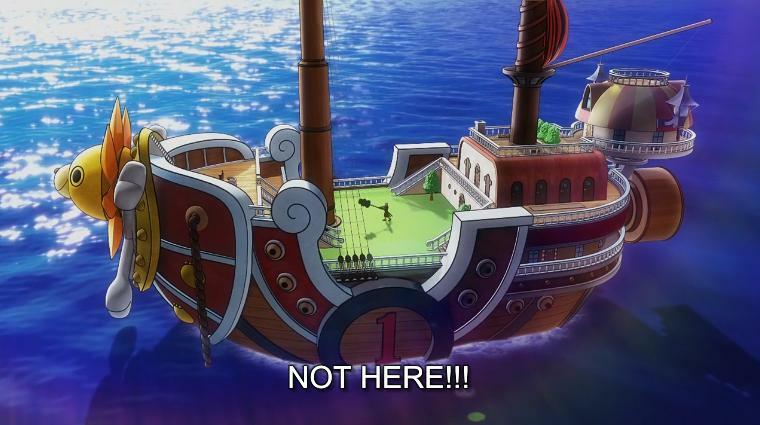 Thousand Sunny is the second ship of Straw Hats and double the size of their first pirate ship “Going Merry“. 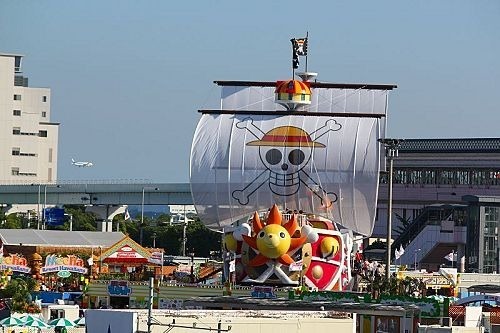 I wanna share this real life Thousand Sunny pirate ship with the scale of 1:1. 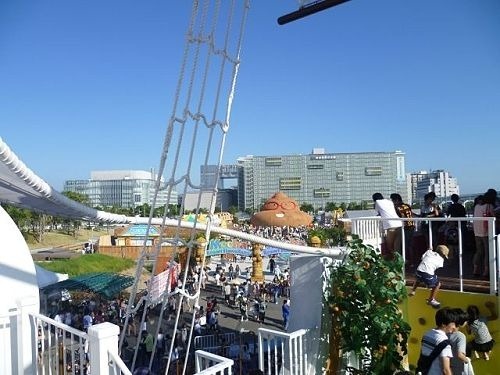 The ship is now one of the attraction in Odaiba (and artificial island that was made in 1850s for defensive purposes), Tokyo waterfront secondary city. 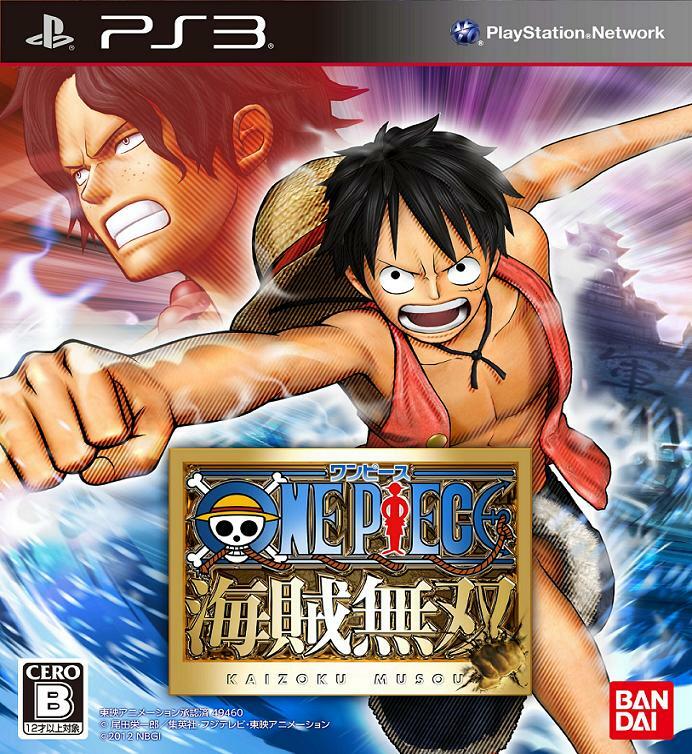 The last One Piece game that was developed is in PlayStation 2 and for years now, fans are waiting for Straw Hat Pirates to bring their abilities in console gaming again. 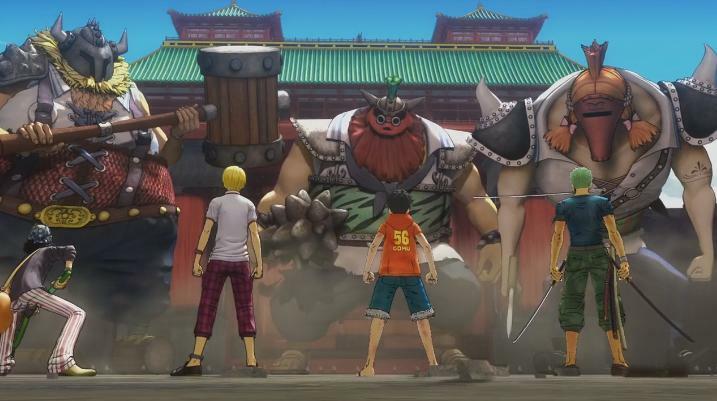 NAMCO Bandai and Tecmo Koei (previously rival) announced their partnership to develop an untitled project which is One Piece: Kaizoku Musou (pirate Warriors). 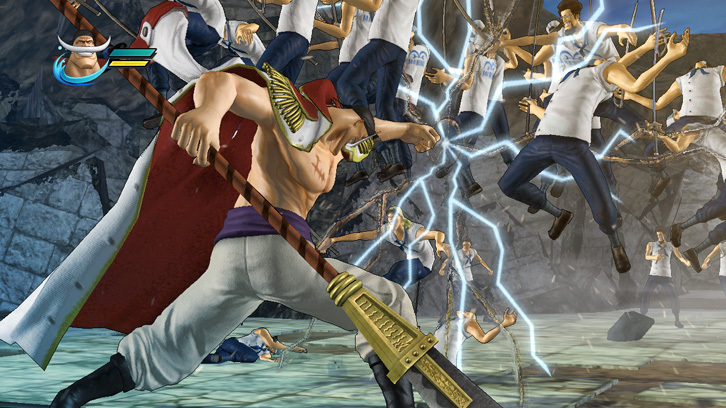 They combined NAMCO Bandai series of anime and manga and Tecmo Koei Sengoku Musou series of action games, also known as Dynasty Warriors. 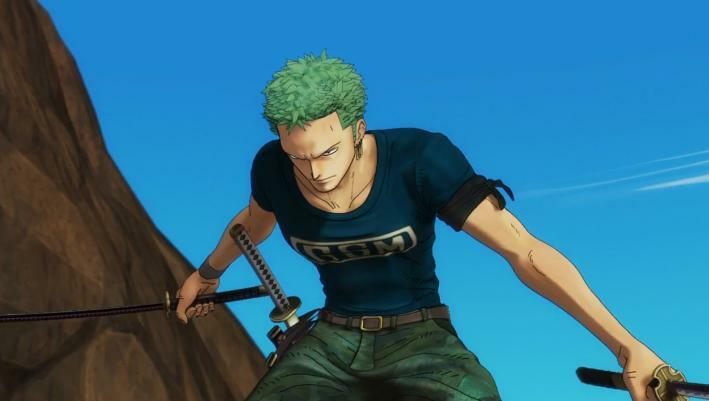 The game will cover the Marineford and timeskip and gameplay would be similar to Dynasty Warriors. 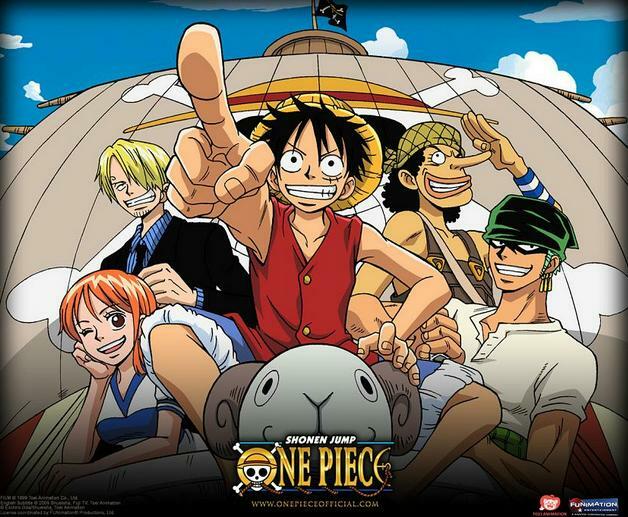 One Piece First Voyage, for the first time ever is now available for digital purchase in Zune Marketplace, Sony Video Unlimited store on PlayStation Network and on Sony Entertainment Network. 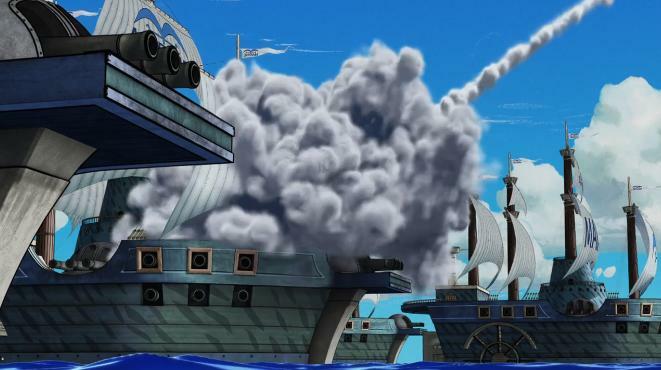 First Voyage, also known as the first 26 episodes, download them in you Xbox360 and PS3 consoles or on your Zune device. 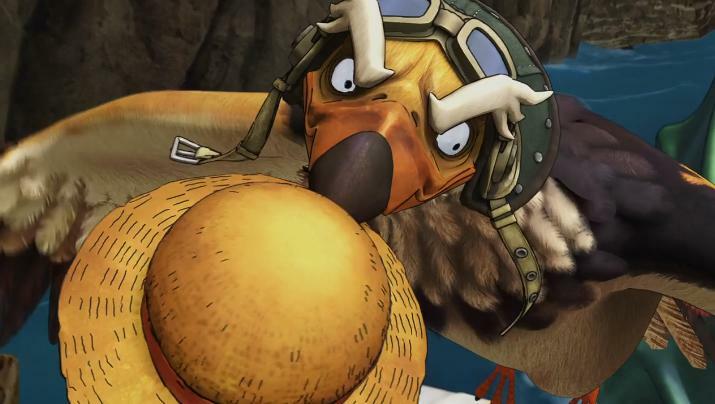 The 26 episodes are available for 80 Microsoft points for Xbox360 and $0.99 cents for SD version and $1.99 for HD version an episode for PS3. 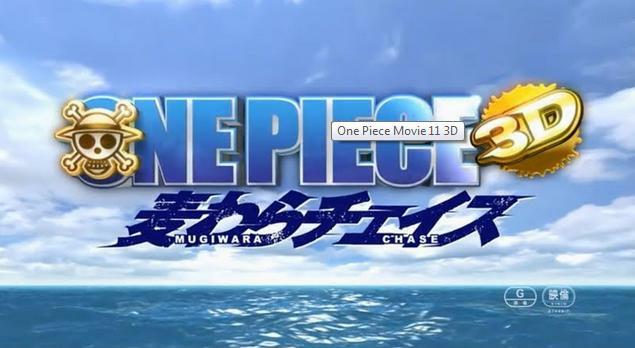 One Piece Mugiwara Chase is known as the movie 11 but its a medium-length film that takes less than an hour. 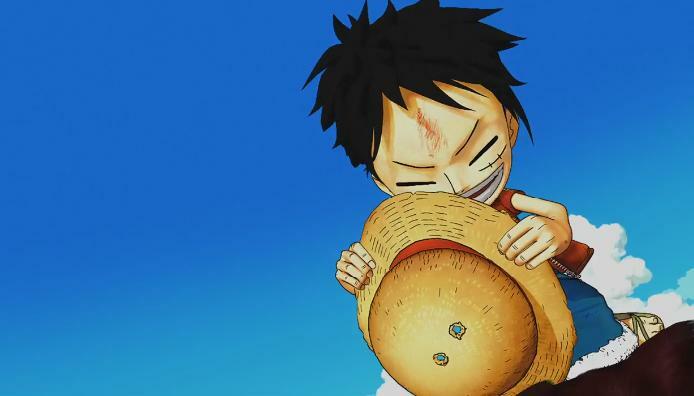 The story about the missing straw hat of Monkey D. Luffy that is set before the timeskip and it’s the first One Piece movie released in 3D. I already watch this movie and just want to let you know that it is now available to watch online. Here are some screen shots from my downloaded video.